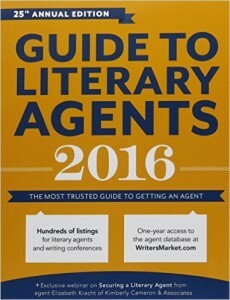 Advice For Writers: Get An Agent! Anyone who knows me knows that I’m a union kind of guy. I belong to two AFL-CIO unions, four writing guilds, and ASCAP. My mom was an actress in the theater, and she was very active with Actors Equity (one of my two unions). In addition to her acting agents, she always had a theatrical lawyer on speed dial. Her agents and her lawyer read and polished every contract she was offered before they allowed her to sign it. From an early age, I was taught the value of banding together as a group, and of always, always, always being represented by professionals. Why am I telling you all this? Because I’ve recently heard several reports from writers who have walked into publishing houses unarmed. And, as the proverb warns us, it didn’t end well for the writers. Now, too late, they wish they’d been represented in their negotiations. I’m tired of hearing these stories. You also want a lawyer to review your contracts with your agent before you sign them, but start with an agent. We’ll talk about lawyers later. There’s been a lot of talk about the new world of self-publishing, and many self-pubbers see no need for representation. They may be right–they’re basically their own employers. But for any writers like me, whose work is published by the Big Five or any of the smaller houses, I repeat: Get. An. Agent. You’ll thank me for this advice. Trust me.